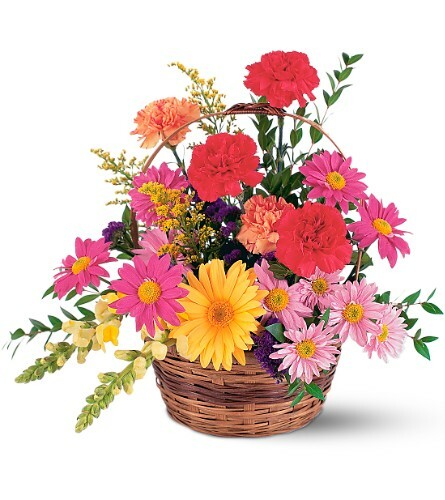 This lovely basket of varied vivid flowers will fully convey any of your sentiments. 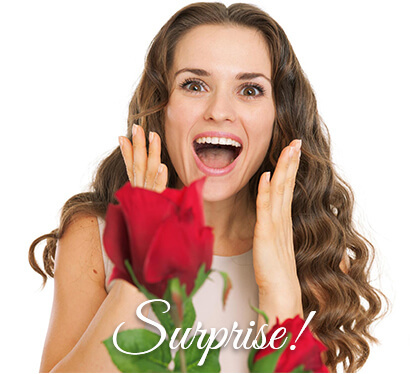 Bloomex florists will arrange orange and red carnations, a yellow gerbera, snapdragons, solidaster and lavender daisies in a natural wicker basket to make the day of any lucky recipient. It is an ideal present for a caring mom or any other woman who's in love with plants, especially those given unexpectedly.